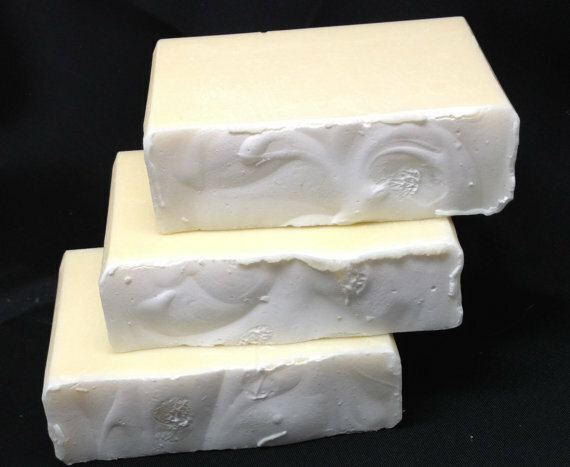 One of the things that can happen to soap is soda ash. This is a white powdery looking substance that appears on the top of you soap. There are a number of theories of why this happens. And a number of things that are suggested to stop it – cover your soap, spray it with alcohol several times during the first few hours, use beeswax in your recipe are a few. There are draw backs to each of these. So if you make more than a few batches of soap, you are bound to have soda ash at some point. What is soda ash and does it matter? Soda ash is sodium carbonate that formed when sodium hydroxide (lye) in the soap contacted carbon dioxide in the air. It is completely harmless. 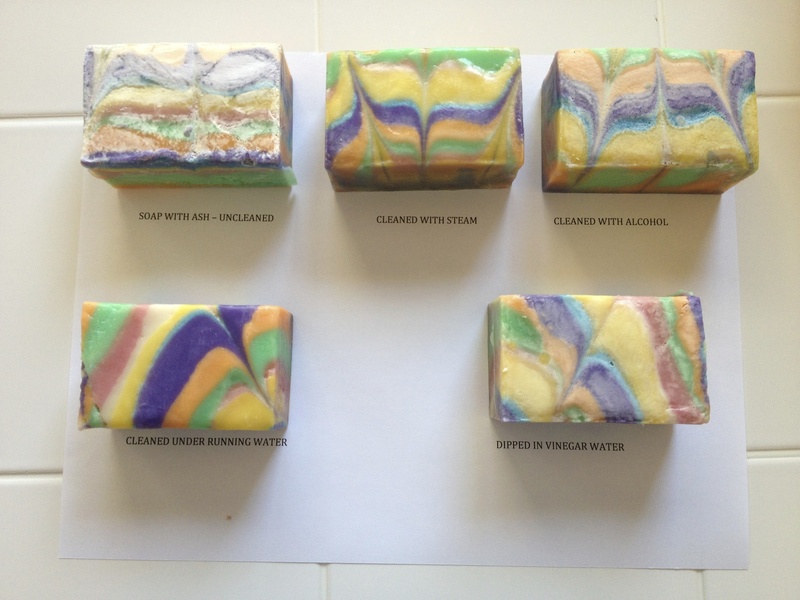 In some cases it adds character and interest to the soap. Other times it is unacceptable. This is an example where soda ash added interest to the top. This is Castile Soap that is slightly yellow from the olive oil and the ash is a nice white. 3. Rinse under cool running water. The best results were obtained by the rinsing the soap under running water followed by steaming it. Perhaps if the ash was not so thick the other methods would have worked better. 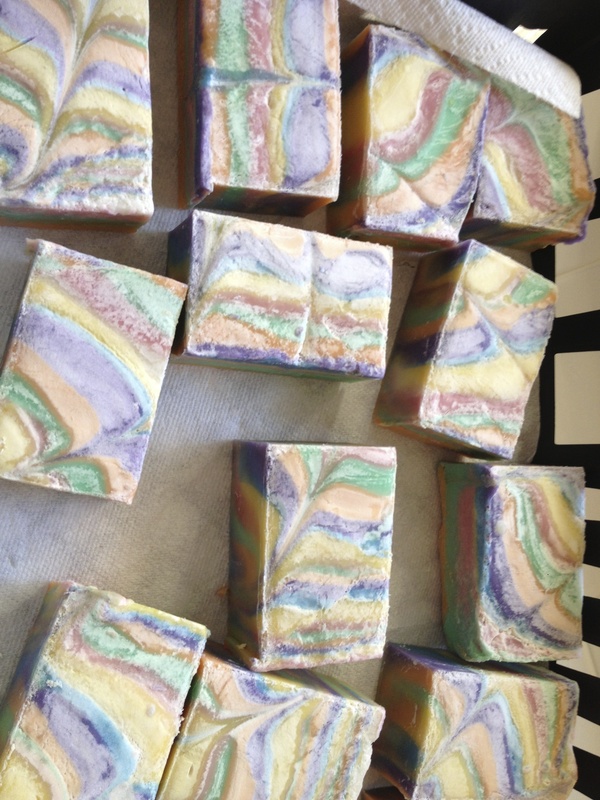 This soap cleaned up nicely but not without a lot of effort. One important point – be sure you wear gloves when handling your soap avoid finger prints. Also have a rack to drain and dry the soap ready. In conclusion, the most difficult method proved the most effective and the easiest way (spraying with alcohol) the least effective. No surprise there.